Sales, Service and Installation of Fuel Equipment Since 1940. Founded in 1940, we serve Michigan, Ohio, and Indiana through sales, service, lubrication, and installation of fuel equipment. 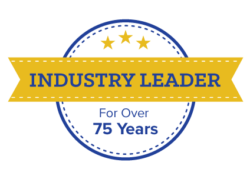 For over seventy years, we have been proudly serving customers in Michigan, Ohio, and Indiana. We are a one-stop shop for the sales, service, lubrication, and installation of fuel equipment. Our commitment to our customers shines through in every aspect of our business, and we take great pride in partnering with businesses for generations.